Ben Hoskinson inspects a planting along a road in south-central Iowa. Showy Tick Trefoil (foreground) and Yellow Coneflower are among the flowers blooming. 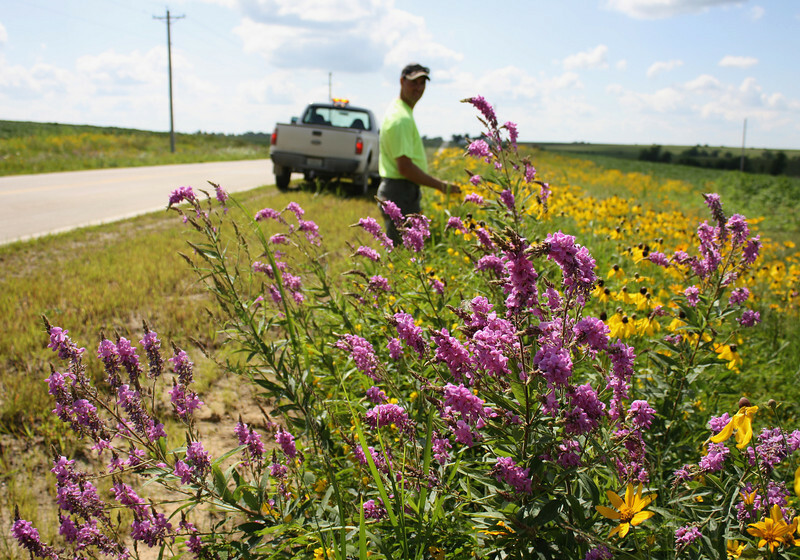 Ben manages the roadsides in Mahaska County, which uses TA-funded native seed in its rights-of-way.